Exclusive: In a stunning display of “group think,” virtually the entire Washington Post editorial section was devoted to denunciations of Russian President Putin, especially his “crazy” belief that the U.S. government often ignores international law and applies “the rule of the gun,” reports Robert Parry. Not since Feb. 6, 2003, the day after Secretary of State Colin Powell wowed the world with his slam-dunk speech “proving” that Iraq was hiding WMD, has the Washington Post’s editorial section shown this unity of “group think.” On Thursday, the Post presented a solid phalanx of denunciations directed at Russian President Vladimir Putin. Across the two editorial pages, Post writers and columnists stood, shoulder to shoulder, beating their chests about Putin as evil, mad or both. “A dangerous Russian doctrine,” screamed the lead editorial. “An elemental fear” was the headline of a George F. Will column. “Making Russia pay” was the goal of Sen. Marco Rubio’s opinion article. “Putin’s fantasy world” was explored by editorialist Charles Lane. 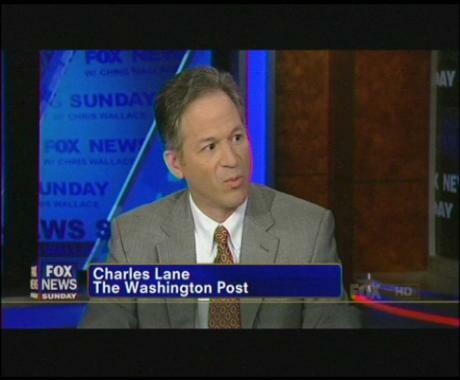 Washington Post editorial writer Charles Lane appearing on Fox News. The one slightly out-of-step pundit was E.J. Dionne Jr. whose column ”Can Crimea bring us together?” agreed on Putin’s dastardly behavior but added the discordant note that most Americans weren’t onboard and didn’t want their government to “get too involved” in the dispute over Ukraine and Crimea. This was the same John Kerry, who earlier in the Ukraine crisis, denounced Putin’s intervention in Crimea by declaring that “you just don’t in the 21st Century behave in 19th Century fashion by invading another country on completely trumped-up pretext.” Kerry, of course, voted in 2002 to authorize the U.S. invasion of Iraq in pursuit of hidden WMD stockpiles that didn’t exist. However, what now should be painfully clear is that since almost no one in Official Washington paid any serious price for following neocon propaganda into the Iraq War a decade ago, the same patterns continue to assert and reassert themselves in other crises a decade or more later, often executed by the same people. The Washington Post’s editorial page is run by literally the same people who ran it when all those Post’s opinion leaders were standing with the estimable Colin Powell on Feb. 6, 2003, and asserting the existence of Iraq’s WMD as “flat fact.” Fred Hiatt is still the editorial-page editor and Jackson Diehl is still his deputy. “Like a mirror, the situation in Ukraine reflects what is going on and what has been happening in the world over the past several decades. After the dissolution of bipolarity on the planet [i.e. the collapse of the Soviet Union in 1991], we no longer have stability. Key international institutions are not getting any stronger; on the contrary, in many cases, they are sadly degrading. “Our western partners, led by the United States of America, prefer not to be guided by international law in their practical policies, but by the rule of the gun. They have come to believe in their exclusivity and exceptionalism, that they can decide the destinies of the world, that only they can ever be right. Nothing in that key passage of Putin’s speech is crazy. He is stating the reality of the current era, though one could argue that this U.S. aggressive behavior was occurring during the Cold War as well. Really, since World War II, Washington has been in the business of routinely subverting troublesome governments (including overthrowing democratically elected leaders) and invading countries (that for some reason got in Washington’s way). It is a challenge to list all the examples of U.S. interventions abroad, both in America’s “backyard” (Guatemala, Cuba, Chile, Nicaragua, Grenada, Haiti, Venezuela, Honduras, etc.) and in far-flung parts of the world (Iran, Vietnam, Laos, Cambodia, Congo, Lebanon, Serbia, Afghanistan, Pakistan, Iraq, Yemen, Somalia, Libya, etc.). These actions usually outside international law and in violation of those nations’ sovereignty have continued into the current century and the current administration. 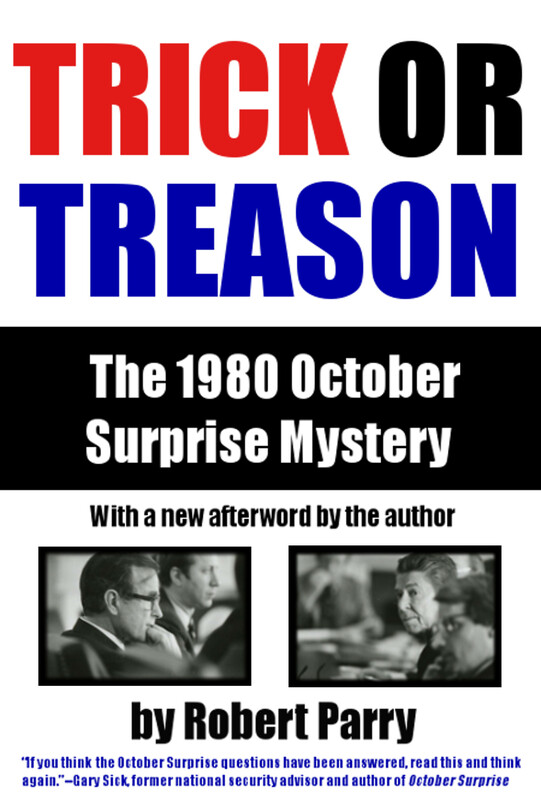 It’s also true that the United States has behaved harshly toward Russia during much of the post-Cold War era, reneging on an understanding with Soviet President Mikhail Gorbachev that his concessions to President George H.W. Bush regarding German reunification and Eastern Europe would not be exploited by the U.S. government. Yet, the U.S. government and corporate America moved aggressively against Russia in the post-Soviet era, helping to plunder Russia’s resources and pushing the frontlines of NATO right up to Russia’s borders. For all his autocratic faults, Putin has moved to put a stop to these encroachments against Russian national interests. Putin also has helped President Barack Obama extricate the United States from dangerous situations in Syria and Iran while the neocons and Washington Post’s editorialists were pounding the drums for more confrontation and war. And, therein may lie the problem for Putin. He has become a major impediment to the grand neocon vision of “regime change” across the Middle East in any country considered hostile to Israel. That vision was disrupted by the disaster that the American people confronted in the Iraq War, but the vision remains. Thus, Putin must be portrayed as unstable and dangerous even though much of his account of the Ukraine crisis fits with what many on-the-ground reporters observed in real time. Indeed, many of the key facts are not in serious dispute despite the distortions and omissions that have permeated the U.S. mainstream press. For instance, there’s no factual dispute that Viktor Yanukovych was Ukraine’s democratically elected president. Nor is there an argument about him having agreed to a European-negotiated deal on Feb. 21, which included him surrendering much of his power and moving up elections so he could be voted out of office. After that agreement and Yanukovych’s order to pull back the police in the face of violent street demonstrations it was widely reported that neo-Nazi militias spearheaded the Feb. 22 coup d’etat which forced Yanukovych to flee. And no one is credibly saying Ukraine’s constitutional rules were followed when a rump parliament stripped him of the presidency. Nor is there any serious doubt that the people of Crimea, which has historically been part of Russia, voted overwhelmingly on Sunday to separate from the coup regime now governing Ukraine. The difference between exit polls and the official results was 93 percent in the exit polls and 96 percent in the final tally. Only in the neocon-dominated and propaganda-soaked U.S. news media is this factual narrative in dispute and mostly by ignoring or ridiculing it. However, when Putin politely takes note of these realities, he is deemed by the Washington Post’s editorialists to be a madman. To hammer that point, the Post turned to one of its longtime neocon writers, Charles Lane, known for his skills at bending reality into whatever shape is needed. In his column, Lane not only denied the reality of modern American interventionism but cleverly accused Putin of doing what Lane was actually doing, twisting the truth. “Putin presented a legal and historical argument so tendentious and so logically tangled so unappealing to anyone but Russian nationalists such as those who packed the Kremlin to applaud him that it seemed intended less to refute contrary arguments than to bury them under a rhetorical avalanche,” Lane wrote. Lane then suggested that Putin must be delusional. “The biggest problem with this cover story is that Putin may actually believe it,” Lane wrote. But double standards have always been part of Charles Lane’s repertoire, at least since I knew him as a fellow correspondent for Newsweek in the late 1980s. Before Lane arrived at the magazine, Newsweek had distinguished itself with some quality reporting that belied the Reagan administration’s propaganda themes in Central America. That, however, upset Newsweek’s executive editor Maynard Parker, who was a strong supporter of U.S. interventionism and sympathized with President Ronald Reagan’s aggressive policies in Central America. So, a shake-up was ordered of Newsweek’s Central America staff. To give Parker the more supportive coverage he wanted, Lane was brought onboard and dispatched to replace experienced reporters in Central America. Lane soon began getting Newsweek’s field coverage in line with Reagan’s propaganda themes. But I kept messing up the desired harmony by debunking these stories from Washington. This dynamic was unusual since it’s more typical for reporters in the field to challenge the U.S. government’s propaganda while journalists tied to the insular world of Washington tend to be seduced by access and to endorse the official line. But the situation at Newsweek was reversed. Lane pushed the propaganda themes that he was fed from the U.S. embassies in Central America and I challenged them with my reporting in Washington. The situation led Lane to seek me out during one of his visits to Washington. We had lunch at Scholl’s cafeteria near Newsweek’s Washington office on Pennsylvania Avenue. As we sat down, Lane turned to me and, rather defensively, accused me of viewing him as “an embassy boy,” i.e. someone who carried propaganda water for the U.S. embassies. I was a bit nonplussed since I had never exactly put it that way, but it wasn’t far from what I actually thought. I responded by trying to avoid any pejorative phrasing but stressing my concern that we shouldn’t let the Reagan administration get away with misleading the American people and Newsweek’s readers. As it turned out, however, I was on the losing side of that debate. 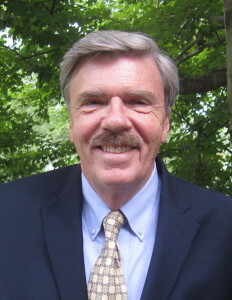 Lane had the support of executive editor Parker, who favored an aggressive application of U.S. power abroad and didn’t like his reporters undermining those efforts. Like some other young journalists of that era, Lane either shared that world view or knew what was needed to build his career. 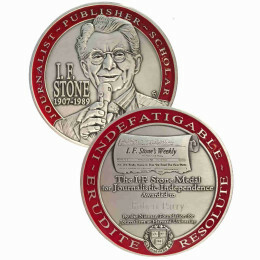 Lane did succeed in making a profitable career for himself. He scored high-profile gigs as the editor of the neocon New Republic (though his tenure was tarnished by the Stephen Glass fabrication scandal) and as a regular guest on Fox News. He’s also found steady employment as an editorialist for the Washington Post. Now, Lane and other Post columnists have made it clear who Official Washington’s new villain is and who must be loudly hissed: Vladimir Putin. Putin has already used pragmatic and visionary diplomacy to bail us out of two potential bloody and costly wars, and is using a measured and reasonable response to the events in Ukraine. It’s time our leaders acknowledged what he has done and learn something from it if they have the courage and the capability. I recall feeling something similar when reading the transcripts of the private meetings between Chou Enlai and Henry Kissinger, where Chou cut to the chase, while Henry, certainly more sophisticated than John Kerry, was still held back by the need to project an appearance of power he and Nixon felt the was needed when the U.S. was ready to withdraw from Vietnam (notwithstanding the additional killing and devastation it would entail). In essence Chou was saying, if you’re wrong to be there, and you know you are, then why not just leave. We must put aside all of the complicated trappings of hegemony and just do the right and lawful thing. The U.S. is morally bankrupt and literally Out To Lunch – Domestically and Internationally. It’s truly unbelievable that it’s as bad as it is but……………..We’re F***ked. These people are Seriously Delusional…………….. Literally Full Blown Nut Jobs. 1. Out on a some kinda warped “pushing for the end of the world” binge. At Any Rate – I Repeat………………………….We’re F***ked.